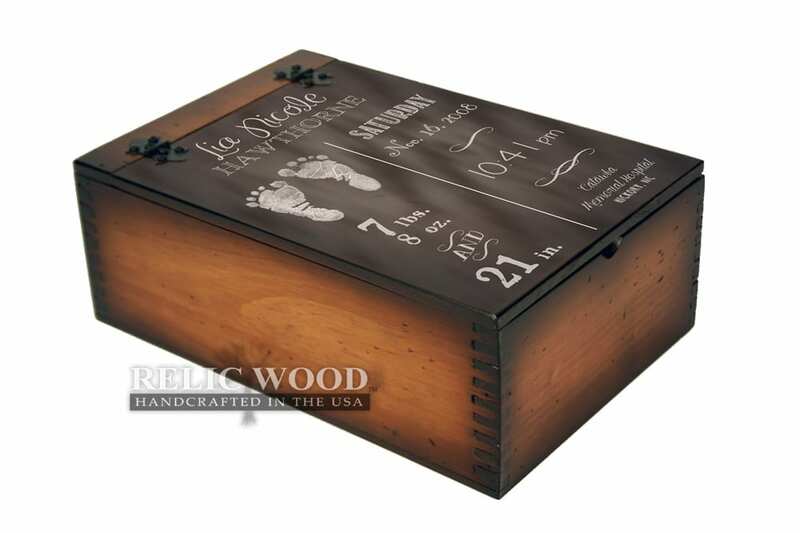 Relic Wood offers hand made in USA custom newborn baby gifts. If you are expecting or have a newborn baby in the family, let me give you a piece of advice. As they grow older (and you as well), it becomes more difficult to remember the smallest details about their birth. Get one of our latest Baby Stats personalized custom baby gifts and be reminded of that special occasion. We are currently working on several custom products for our new personalized Newborn gifts category. We are always looking to add to our already extensive custom gift ideas and we wanted to focus on creating special gifts for babies. 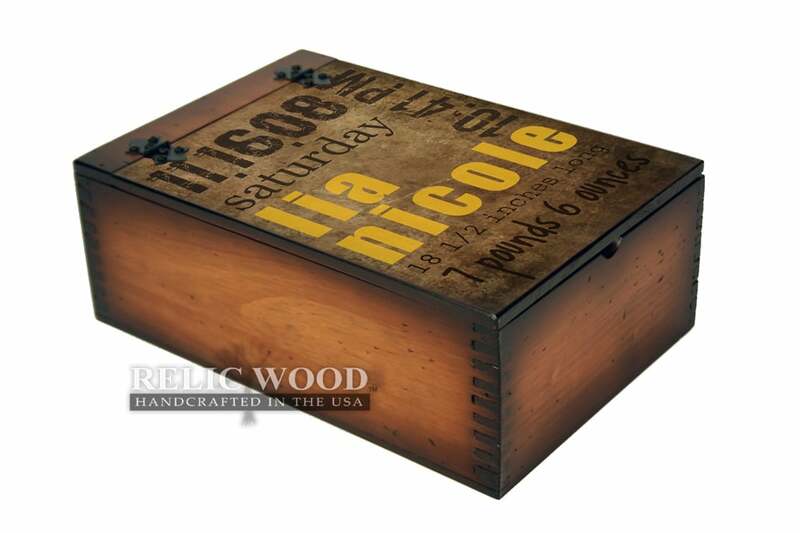 Our most recent welcome addition to our graphic design team is highly creative, extremely experienced, and we are excited to see the new line of products she will be crafting from Relic Wood. Our youth children gift ideas and newborn baby gifts are unique and are sure to become a family heirloom passed down to the next generation.